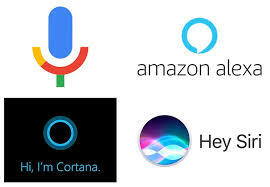 Go Back to the Homepage / How to make my website appear in Google Home or Alexa Voice Search? Every blogger and small website owner is wondering that how to make my website appear in Google Home or Alexa Voice Search? Answer is simple – voice search is enabled though Semantic search. Any website can start appearing on Semantic search results (of course traditional rank and traffic algorithm of search remains relevant and has not gone waste) if at the time of publishing a post we provide info regarding What, Who, When, Where and Entity Type. Search results in voice are thrown to web searcher based on this (what, who, when and where) by gathering info through Artificial Intelligence (AI) about searcher intent behind search. In simpler words, one will need to create a vocabulary of website so that search engines based on AI can pick info and throw it to info seeker or web searcher. In short one need to make a AI Capable website. To be able to appear in Voice Search results, a website owner need not to change text of his website in to audio or voice. But they surly need to start providing information based on what, who, when and where and categories information and organize the content of website to help search engines understand website pages. The text information of website is provided to web searcher using natural language processing (NLP) technology in audio form as voice search result. The blog post looks exactly as before but over the period of time my blog will have its own AI to help search engines index based on semantic search. It is experienced that people who were able to make their website Semantic Search capable, they witnessed over 30% to 60% jump in organic/ search traffic on their website and improved ranking in Google Search. But this is a new challenge for website owners because now they are required to upgrade their website to a website which has capabilities to help search engines index their website based on new Semantic Search parameters – a new problem in hand. People can start posting new content on parameters of semantic search but how about old content? I have no answer to this question.